By buying this product you'll earn up to 12000 Rewards points. 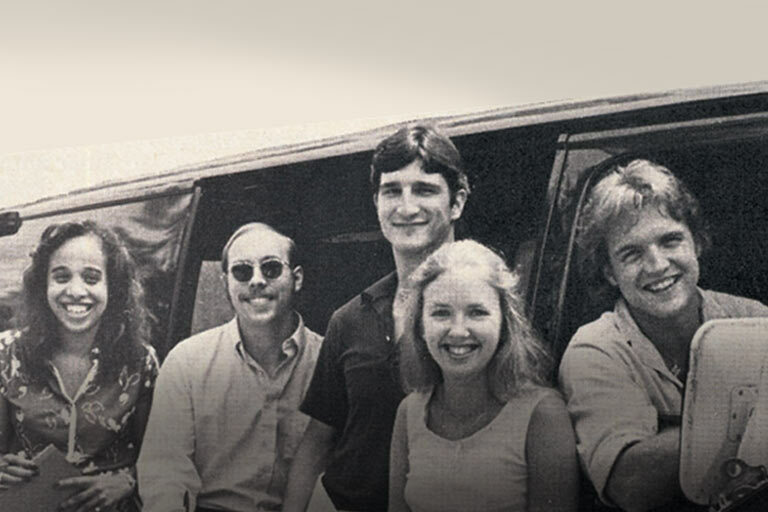 Marantz Reference Series components are the very best this renowned audio manufacturer has to offer, drawing on expertise developed over decades of research, testing, and critical listening. The matching PM-10 integrated amplifier and SA-10 Super Audio CD player represent complete re-inventions of their respective categories, in which practically every part has been redesigned for the best possible reproduction of music. When you purchase the two components together in this bundle, you'll get significant savings compared to buying them separately. 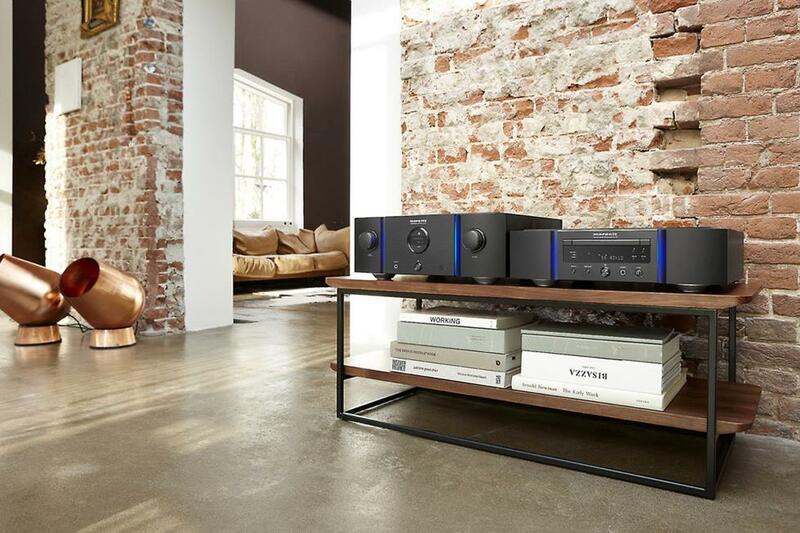 Marantz put a lot of care into designing these two latest Reference components. The PM-10 uses Marantz's most advanced Hyper Dynamic Amplifier Modules (HDAM) for faithful, dynamic musical reproduction. The SA-10 features a newly designed disc transport and an all-new digital-to-analog conversion process, for pristine signal clarity. Both components feature large toroidal transformers for rock-steady current, and rigid construction with copper-plated parts for eliminating noise and potential vibration. Connect a pair of high-performance speakers of your choice, and you may just discover details in your favorite recordings that you've never heard before. 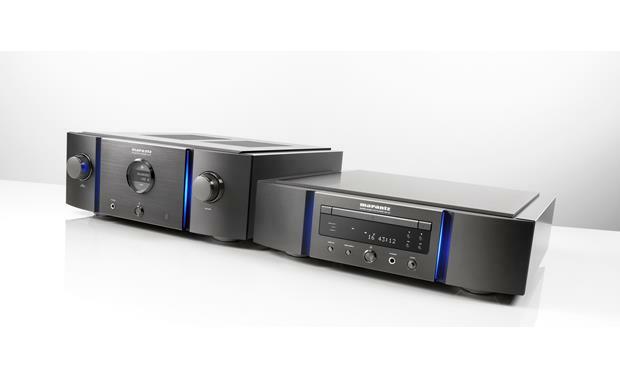 The Marantz Reference Series bundle consists of the PM-10 Integrated Amplifier and the SA-10 SACD player (both individually packaged). SACD-M3 Transport Mechanism: At the heart of the Marantz Reference Series SA-10 is an SACD-M3 transport mechanism, engineered solely for the best possible performance when playing SACDs, CDs, and music stored on data discs. Not only does this new mechanism promise the very best sound quality from conventional CD and SACD discs, its extended ability with the playback of music files stored on DVD-ROM discs makes it possible for users to create their own high-resolution audio compilation discs using a computer DVD burner. The SA-10 can play FLAC files from 44.1kHz to 192kHz at up to 24-bit resolution, DSD2.8MHz and DSD 5.6MHz music files, as well as ALAC (Apple Lossless), AIFF, and MP3 files. High Resolution DAC: In addition to a SACD/CD player, the SA-10 is also a fully-functional digital-to-analog converter (DAC) for music stored on a home computer, as well as having conventional digital inputs for existing source components. The optical and coaxial digital inputs can handle files at up to 192kHz/24bit. In addition, the player's digital input section includes a USB-B asynchronous input for the direct connection of a computer, and is compatible with PCM and DXD music files at up to 384kHz/32bit, as well as DSD2.8MHz, DSD5.6MHz and DSD11.2MHz. There is also a USB-A input for connecting a USB MSC device or Apple iOS device. USB Inputs: The Marantz SA-10 is equipped with a rear-panel USB-B and USB-A input for music playback. The USB-B lets you playback music stored on your Windows PC or Mac computer, while the USB-A input supports music playback from USB MSC devices (such as a USB thumb drive) and select Apple iOS devices. You'll be able to control playback and search functions from the included remote control, as well as view song/artist/album information on the player's front-panel display. USB-B Asynchronous Input (Windows and Mac Compatible): The USB-B Asynchronous input lets you playback the music library of your Windows PC (7/8/8.1/10) or Mac computer (OSX 10.9/10.10/10.11). A Windows PC will require the installation of a dedicated USB driver, available from the Marantz website. Compatible music files include PCM and DXD music files (44.1-384kHz; 16/24/32-bits), as well as DSD2.8MHz, DSD5.6MHz and DSD11.2MHz (1-bit). USB-A MSC Input (Apple iOS Compatible): The USB-A input lets you playback compressed music files including MP3 (44.1/48kH; 32-320kbps) / WMA (44.1/48kHz; 48-320kbps) / AAC (44.1/48kHz; 16-320kbps), and high res music files including WAV (44.1-192kHz; 16/24-bits) / FLAC (44.1-192kHz; 16/24-bits) / ALAC (44.1-96kHz; 16/24-bits) / AIFF (44.1-192kHz; 16/24-bits), / DSD (2.8/5.6MHz; 1-bit) stored on a USB MSC (mass storage class) devices formatted in FAT16/FAT32, such as a USB thumb drive or portable digital audio player. It can recognize up to 1,000 folders and 2,000 files per folder. The USB Type-A input also supports playback of music files and music apps on select Apple iOS devices. Optical and Coaxial Digital Inputs: The SA-10 is also outfitted with a coaxial and optical digital input for connection to other digital audio sources. The coaxial and optical digital inputs support 2ch Linear PCM signals from 32kHz to 192kHz (16/24-bits). Dolby Digital/DTS signals are not supported. Balanced and Unbalanced Analog Outputs: The Marantz Reference Series SA-10 SACD player features balanced XLR and unbalanced RCA outputs. Balanced connections guard against induced noise and allow long cable runs without compromising sound quality. The analog RCA output terminals are hand-made from a solid pure copper core, and plated with a nickel substrate. Copper and Aluminum Construction: The PM-10 integrated amplifier and the SA-10 are constructed to the highest possible standards, with a double-layered copper-plated chassis for excellent rejection of mechanical and electrical interference, and casework constructed from thick non-magnetic aluminum panels and 5mm thick top lid. The player also sits on aluminum machining feet. Remote Control: The SA-10 comes with an IR remote control for wireless operation of the SACD player. The remote also operates playback and search functions for your USB connected device - including USB drives, select Apple iOS devices, Windows PC, and Mac computer. Two RCA jacks (1 in/1 out) are provided for connecting this player and another Marantz component for system remote control purposes. Dual-Mono Design: The Marantz Reference Series PM-10 integrated amplifier employs a dual-mono design with separate power supplies for the preamplifier and each of the power amplifier channels, plus one transformer dedicated to the preamp to ensure the delicate signals passing through that section of the amplifier aren't affected by the demands of the high power output stages. There's also a dedicated supply for the microprocessor controlling volume adjustment, input selection and so on, ensuring no noise from the control section finds its way in to the audio path. Pure Analog Concept: While many other integrated amplifier manufacturers are including digital-to-analog conversion, or adopting digital amplification and volume control, the PM-10 is a purely an analog amplifier - keeping things as clean and simple as possible with its highly-developed all-analog design. Though it may seem convenient to have a DAC in the amplifier, digital circuitry is, by its very nature, noisy (in the electrical sense) and can interfere with the delicate analog signals passing through the amp. 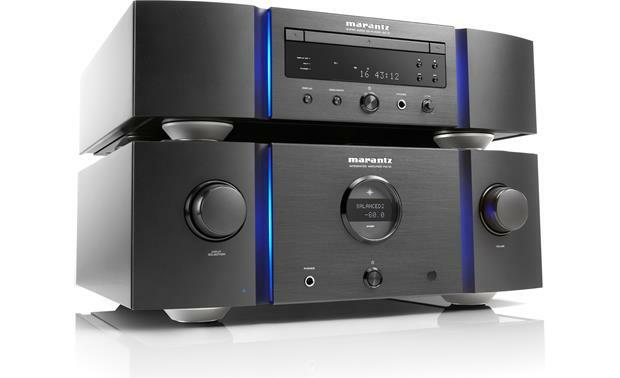 That's why Marantz chose to design its Reference Series range with any digital-to-analog conversion in its Super Audio CD or network music players, keeping its amplifiers as pure and clean as possible. Fully Balanced Layout: The Marantz PM-10 uses a fully balanced layout, from the input section all the way through to the final power amplifier section. By keeping the signal balanced all the way through the amplifier, and combining that with optimized power supply design, the Marantz PM-10 is able to achieve maximum noise rejection throughout the audio path, and the highest possible signal purity. Bridged Power Amplification: The Marantz PM-10 utilizes bridged power amplification (a total of four amplifier channels) for greater control of your connected stereo loudspeakers. In a conventional amplifier, one speaker is driven by the positive and negative part of one single output stage per channel, but a bridged amplifier does things differently. It uses two separate amplifier stages per channel to drive one speaker, so one amp pushes the speaker cones and domes, while the other pulls them back. As a result, the PM-10 can make the speaker driver units start and stop moving much more precisely for better rhythmic and spatial control, producing voices and instruments that sound more realistic. The PM-10 delivers 200W x 2Ch into an 8Ω load, and can easily cope with demanding speakers or those whose impedance varies widely with frequency, thanks to a 400W x 2Ch output into 4Ω. Exclusive HDAM (Hyper Dynamic Amplifier Module) Technology: Featuring discrete circuit components, as opposed to an integrated circuit, Marantz's exclusive HDAM technology preserves analog signal purity, delivering wide band audio with expansive dynamic range along with an inaudible noise floor. The PM-10 incorporates the latest-generation HDAM SA3 aided by ultra-fast custom made block capacitors for the fastest possible response to demands for high current and the widest possible frequency and dynamic ranges. Constant Current Feedback Phono Equalizer: The PM-10 incorporates a constant current feedback phono equalizer developed exclusively by Marantz that supports both MM and MC cartridges. The Phono input terminal is equipped with an input impedance switch for cartridges with high, medium, and low impedances (including 2Ω to 10Ω high-end cartridge) - for optimal performance of a wide variety of phono cartridges. Copper and Aluminum Constructed Chassis: The PM-10 integrated amplifier is constructed to the highest possible standards, with a double-layered copper-plated chassis for excellent rejection of mechanical and electrical interference, and casework constructed from thick, heavy, non-magnetic aluminum panels. The integrated amp also sits on aluminum machining feet. Flexible Configuration: The PM-10 provides maximum configuration flexibility, as it can be configured as a conventional stereo integrated amplifier, or set up with another PM-10 as a dual component four channel configuration for bi-amp operation, and it can also be paired with an AV surround processor/pre-amp and used as a stereo power amplifier for the main left and right speakers in a home theater system via the Power Amp Direct inputs. Floating Control Bus System: Floating Control Bus System (FCBS) is a two way communication system that enables you to connect up to four PM-11S3s and control them simultaneously, This makes possible a number of applications, including bi-amplifying and multiple channel (surround, multi-channel SACD, etc) applications. A ground loop is not formed between multiple connected PM-10s, therefore sound quality is not adversely affected. When more than one PM-10 is used a different ID code is assigned to each. Bi-Amp Mode: Two PM-10s are connected by FCBS in bi-amp mode, enabling each to work as a monaural integrated amplifier. Power Amplifier Mode: In this mode, this unit works as a power amplifier. This mode will be useful in home theater systems. Purest Mode: In Purest Mode, even greater improvements in sound quality are facilitated by cutting off the power supply of circuits (including Recording Output, Non-Signal State Detection, and Headphone) not required when listening to a pair of loudspeakers - giving the audio signal the cleanest possible path through the amplifier. Note: When a set of headphones are connected, the headphones circuit is activated and the sound output from the headphones (the Recording Output and Non-Signal State Detection Circuit remain off). Balanced and Unbalanced Inputs (including Phono Input): The Marantz Reference Series PM-10 integrated amplifier has two sets of balanced XLR inputs, plus four sets of conventional unbalanced RCA line-level inputs (includes a phono input). Balanced connections guard against induced noise and allow long cable runs without compromising sound quality. Record Output: Audio signals input into this unit can be output to an external recording device through its stereo RCA record output. When recording audio from a playback device connected to this unit, audio can be recorded with the playback device still connected to this unit. A and B Speaker Outputs: The A and B speaker outputs are binding posts and will accept single banana plugs, pin connectors, spade lugs (up to 0.575" wide), and bare wire (up to 10 gauge). You can connect one pair of 4-16Ω speakers, two pair of 8-16Ω speakers, or one Bi-Wire pair of 4-16Ω speakers. Dedicated Headphone Output: Employing Marantz's exclusive HDAM discrete modules, the headphone circuit delivers superb audio fidelity with the widest range of headphone types and impedances, including low impedance headphones. The PM-10 is outfitted with a front-panel 1/4" headphone jack. Plugging in a set of headphones does not automatically turn off the speaker outputs; you will need to turn off the integrate amp's speaker outputs manually. Front-Panel Display: This PM-10 integrated amplifier features a LCD (Liquid Crystal Display) to display the input source and volume level. Compared with other types of display panels, an LCD requires less drive power and generates less radiation noise, which minimizes any adverse affects on sound quality. The display circuit operation can be turned off to minimize noise from the display and the display circuit which could interfere with the analog audio output signal. Linear Control Volume: The PM-10 incorporates linear control volume which improve S/N ratio, enabling smooth control in ±0.5 dB steps across a 0 to -100 dB range. Balance Levels: The volume level of the left and right channels can be trimmed in 0.5 dB steps across a 0.0 to 9.0 dB range. 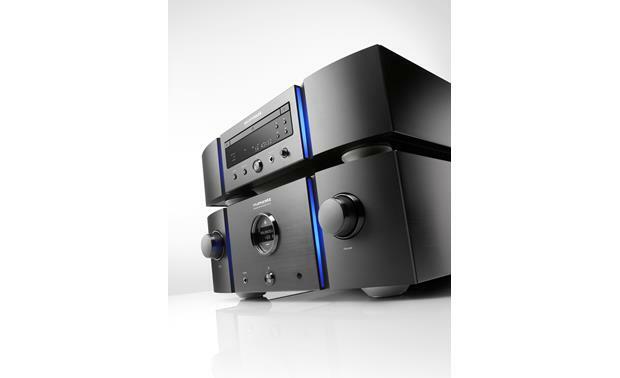 Auto Standby Mode: The integrated amplifier will automatically switch to standby mode if the unit is not operated for 30 minutes when there is no audio signal input. Protection Circuitry: Built-in protection circuitry prevents damage to devices within the power supply when an abnormality such as an overload, excess voltage, or over temperature occurs for any reason. If a malfunction occurs, the power indicator blinks red and the integrated amp switches to standby mode. Searches related to the Marantz PM-10/SA-10 Bundle Reference Series stereo integrated amplifier and CD/SACD player with USB DAC.